The middle school years are the perfect time to start looking at history closely using books that present alternating points-of-view and evaluating those sources with primary documents. Younger students are hearing all these fascinating stories for the first time, but middle-grade students are ready to evaluate and discuss history. 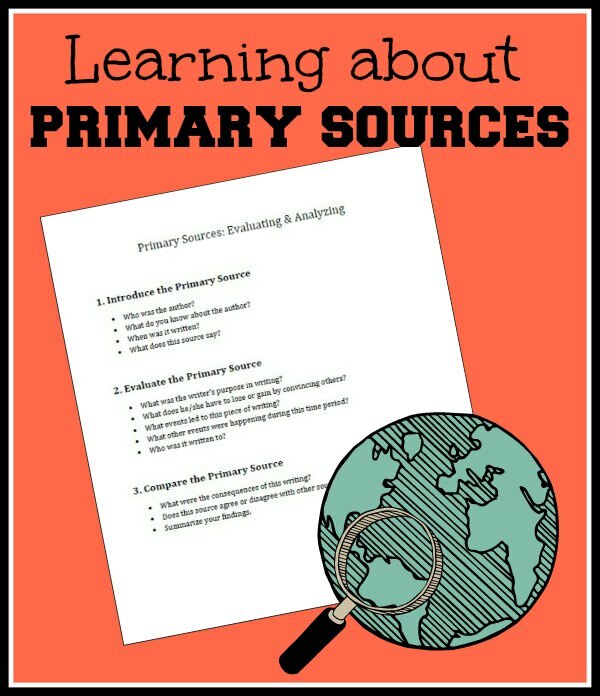 Tonia at The Sunny Patch has a great FREE printable list of primary source evaluation questions that will help you guide your middle school kids in learning to study historical documents. Reading primary sources gives kids a firsthand look at what really happened and learning to evaluate those sources, their content, and the writer’s purpose will give them a deeper understanding of that time in history.